Banff & Buchan MSP Stewart Stevenson has highlighted that almost 8,000 businesses in the Aberdeenshire Council area are to benefit from the SNP Government’s budget commitment to accelerate the business rates cut. To help achieve a wealthier and fairer Scotland, the Scottish Government will reduce or remove rates bills for around 150,000 small business properties across Scotland. “This is great news for around 8,000 businesses throughout Aberdeenshire that will benefit from the SNP Government’s plans, with almost 7,000 of those benefiting from the 80% cut in April this year. This is a vital move which will encourage small business growth and start up in our area. “Small businesses sit at the heart of the local economies in Banff & Buchan and this Government is now giving them a competitive advantage with their biggest tax cut ever. "This is a major change which represents a huge reduction in the overheads for small businesses giving them a real chance to compete with the multinationals and major chains that are threatening the future of our High Streets. “When the Small Business Bonus Scheme comes in to full effect businesses throughout Banff & Buchan and the surrounding areas will be saving up to as much as £1,870 per year. This is great news for our small businesses. From April 2008 rebates for businesses with a rateable value of £10,001 - £15,000 will increase from 12.5% to 20%; businesses with a rateable value of £8,001 - £10,000 will increase from 25% to 40%; and businesses with a rateable value of £8,000 will increase from 50% to 80%. From April 2009 the SBBS will be in operation with businesses, whose combined rateable value of £8,000 or less have their business rates removed; businesses with a rateable value of £8,001 - £10,000 will have their business rates halved; and businesses with a rateable value of £10,001 - £15,000 will have their business rates reduced by a quarter. Transport Minister Stewart Stevenson today welcomed the news that the A96 Fochabers & Mosstodloch Bypass, which will bring benefits to north east communities, has taken a significant step forward. Transport Scotland has completed a review of the mitigation measures for this project and has published its conclusions. The project, representing a £19 million - £25 million investment in this vital line for the businesses and communities of the north east, will re-route the A96 around Fochabers and Mosstodloch as opposed to the current lay-out which runs directly through the towns. This will bring safety benefits to the area by removing traffic from the heart of these communities. "This Government is committed to ensuring an efficient transport network. The A96 Fochabers and Mosstodloch Bypass, a vital link in Scotland’s Transport network’ is a key part of those plans. "I am delighted to see this project moving forward. It will bring benefits for communities across the north east through cutting journey times, easing peoples commute and improving local connections. Not to mention the benefits to the local economy and that of the wider north east." Transport Scotland will now finalise the detail designs before moving to the tendering process. Work is likely to start in late 2008/early 2009 with completion expected by mid 2010. Ferry fares will be reduced by up to half on all Western Isles to mainland routes under a new pilot scheme unveiled today. The Scottish Government is looking to overhaul the current ferry fares system and replace it with a fairer Road Equivalent Tariff scheme which would bring cheaper travel for islanders, tourists and businesses across the country. The pilot scheme will operate from October 19 until the spring of 2011 and will result in up to 50 per cent off fares. "Expensive fares can be damaging, not only to our local economies, but to our national economy, and this Scottish Government wants to take action. "We believe the way forward is to consider the benefits of introducing a Road Equivalent Tariff (RET) approach to setting fares in Scotland. "This pilot will examine that case - delivering cheaper fares for islanders, tourists and businesses. "While initially focussing a pilot on the Western Isles, we want this test case to pave the way for cheaper fares for all our island communities. "We will monitor the pilot closely and fine-tune it as necessary to ensure this scheme delivers maximum benefits for all. "RET is a vision for the future of ferry fares, and this pilot could open the door to a fairer, cheaper system for every ferry user in Scotland. I would urge local authorities and the economic agencies to grasp this opportunity and build on the pilot for the benefit of the island economies. "The Scottish Government wants to do all it can to boost island economies and deliver real improvements to our ferry services. I am sure this pilot will be a great success." "We welcome the detailed clarification of the proposed scheme and now look forward to working with the consultants and with the Scottish Government to develop this into a robust framework which will be ready to apply from the start of our winter timetable in October. "CalMac fully supports any initiative which will help regenerate the economies of the islands we serve, through increased traffic and affordable rates. "The scheme as proposed brings significant challenges for CalMac, which I am certain we will overcome, however we will need some months to prepare the groundwork prior to its introduction. We are now clear what needs to be done and the process of changing our systems has already begun." RET involves setting ferry fares on the basis of the cost of travelling an equivalent distance by road. The routes for the initial pilot study will be: Ullapool - Stornoway, Uig - Tarbert (Harris)/Lochmaddy (North Uist) and Oban - Castlebay (Barra), Lochboisdale (South Uist) and Oban to Coll and Tiree. The pilot will commence on October 19, 2008, the start of the winter timetable, until spring 2011. This will allow it to be fully assessed on its effectiveness, and to identify both positive and any possible negative implications of a RET scheme. This will include the gathering of traffic statistics and information from, for example, ferry users and local employers (including the freight and tourist sectors) designed to allow the impact of the pilot (especially in economic and social terms) to be assessed. The 60p per mile rate suggested by the consultants is broadly comparable with the cost of running an average family car as identified by both the AA and RAC. Consultants also considered long-standing HMRC rates. Banff & Buchan MSP Stewart Stevenson has welcomed the news that the Scottish Government is making extra funding available to strengthen support services for carers in Grampian. Over the next three years, an additional £9 million will be provided to NHS Boards across Scotland to bolster the implementation of Carer Information Strategies. This includes £822,000 for NHS Grampian from 2008-09 to 2010-11. Carers will benefit from greater awareness and recognition of their role, improved provision of information and available support, with more access to training to help them cope with their caring role. “I am delighted to see the SNP Government providing this funding to ensure that carers here in Banff & Buchan and across Scotland are given the best possible support. This is another demonstration of the SNP delivering on their commitments to elderly and vulnerable people in Scotland. "Carers perform a crucial role in Scottish society in caring for some of our most vulnerable groups. It is vital that we identify people who give much of their time so selflessly to care for a loved one and we must ensure that these people are offered the right information, training and ongoing support. Banff & Buchan MSP Stewart Stevenson has welcomed a new £3 million grant scheme for youth projects to be funded from the proceeds of crime. This latest strand of the Scottish Government's CashBack for Communities scheme will see Aberdeenshire receive £81,000. The grant scheme will provide funding for projects which support young people involved, or at risk from violence, alcohol, drugs or antisocial behaviour as well as support for initiatives such as youth drop-in services and residential, environmental and outdoor activities including climbing walls, skate parks, mountain bikes and canoes and yachts. Youth organisations and projects from across Aberdeenshire will be able to apply for a share of the money, which will be administered by YouthLink Scotland, the national youth work agency. “This is the first time that the cash seized from criminals will be reinvested in youth organisations and projects in every part of Scotland and young people in Banff & Buchan and the surrounding areas are to benefit to the tune of £81,000. “The grant scheme is designed to give young people in Banff & Buchan and across Scotland the opportunity to realise their potential and enable them to have real hopes and aspirations for the future. It is imperative that we give our young people positive things to do with their lives and demonstrate the vast possibilities that lie before them. The Justice Secretary announced the first strand of the CashBack for Communities scheme on January which will see over £2.2 million of the proceeds of crime providing free football coaching and playing opportunities for upwards of 30,000 people. This latest strand will use £3 million seized from criminals to fund a grant scheme for youth projects and youth organisations in all 32 local authority areas of Scotland. funding for projects, particularly in areas of multiple deprivation, which fill gaps in provision and will deliver agreed outcomes for young people and groups of young people funding for organisations which support young people involved, or at risk of involvement, with violence, alcohol, drugs and/or antisocial behaviour. The money will be distributed, based on the percentage of population aged 10-19 and the percentage of those aged 10-19 in the 15 per cent of the most deprived areas. YouthLink Scotland will administer the grant scheme. There will be two applications stages, with the first running in April/May 2008 with decisions taken by May 2008. The second stage will take place in August 2008 with decisions taken by mid-September 2008. Transport Minister Stewart Stevenson visited the multi-million pound Upper Forth Crossing today to witness it land on the south bank following its 13 month journey across the river. The final ‘deck push’ marks the first time the bridge has spanned the Forth and is a significant milestone towards delivering this vital project. The Transport Scotland project involves one of the longest deck pushes of its kind in the world and started over a year ago with the first launch of the bridge deck on Monday 22 January 2007, 90 metres inland from the river bank. "I am delighted that the final piece of the jigsaw is clicking into place on this fantastic new crossing. This bridge will bring economic benefits to communities across Fife and Central Scotland, opening up access, whilst easing congestion, and improving safety. "Today is a key milestone in this project - a project which breaks new ground in worldwide engineering. I am sure people living near the bridge will be pleased to see the real progress which has been made." "This final launch represents a major milestone for the project. We launched the first bridge span on 22 January last year and over the past 13 months have incrementally launched the remaining 25 spans; all of this achieved by a consistent high level of performance throughout from the whole site team. "The new 26-span bridge, which weighs over 32,000 tonnes and is 1.2 kilometres in length, is the second longest incrementally launched concrete bridge in the world and is the fourth incrementally launched bridge to be constructed by the joint venture in the UK." Overseen by Transport Scotland, the project is the largest road construction scheme currently on-the-ground in Scotland and is being constructed by contractor Morgan VINCI, a joint venture between infrastructure services company Morgan Est and VINCI Construction Grands Projets. Each launch moved the deck out by 45 metres and achieved a construction cycle time as low as 8 days. On full completion, the bridge deck will be 1.2km long, weigh 32,000 tonnes and will sit on 25 piers which are each filled with 840 tonnes of concrete. Banff & Buchan MSP Stewart Stevenson has welcomed the Calor Scottish Village of the Year Awards 2008 as an opportunity for community groups in his constituency to get national recognition for their efforts and put their village on the map. The awards focus on rewarding local community groups who have improved their local area for the common good. The winner of the Awards in 2006 was the New Deer Community Association. A key factor in the group’s success was their strong demonstration of community spirit following the closure of the Clydesdale Bank in the village in 2005 and their success in persuading Royal Bank of Scotland to take over the local bank. “The Village of the Year Awards are an excellent opportunity for community groups to get due recognition for their achievements and the work they have put into bringing their community together for a collective cause. “I was thrilled to see New Deer win the Village of the Year Awards in 2006 after successfully taking power into their own hands to save their local bank. With the previous victory of Whitehills, that is twice in five years that communities in Banff & Buchan have won this prestigious award. “Banff & Buchan boasts a number of close villages with an exceptionally strong sense of community spirit so I have no doubt that we will have some strong contenders to offer this year. The Calor Scottish Community of the Year Awards seek to recognise and reward the efforts of community groups in improving their local area for the common good. Supported by Calor Scotland in partnership with Communities Scotland and backed by The Association of Scottish Community Councils (ASCC), The Scottish Environment Protection Agency (SEPA) and Scottish Business in the Community (SBC), the awards are open to any properly constituted community group in Scotland and carry a total prize fund of £5000. ●Entries should focus on initiatives that have taken place in the last two years. Re-entrants are required to demonstrate how the community has been enhanced or developed since its last entry. Local MSP Stewart Stevenson has welcomed the response received from Aberdeenshire Council to concerns he raised over the condition of the masonry at Maduff Harbour. Constituents had raised concerns over large cracks which had appeared in the facing wall and capping beam on the end of the lighthouse pier. Aberdeenshire Council – which is responsible for the harbour – has now responded advising details of works which will be undertaken pending the approval of councillors at a meeting of the Policy and Resources Committee next week. “I am pleased that the council are taking this matter seriously and anticipate an early start date for these very welcome and necessary repairs. “The remedial works proposed include the removal of the deck slab, installation of two anchor beams within the core of the pier and the construction of a new reinforced concrete face and deck tied to those anchor beams. This represents an investment in Macduff Harbour of over £100,000 and I am advised will take around six weeks to complete. Banff & Buchan MSP Stewart Stevenson has called for the Banffshire name to be preserved in the proposed redrawing of the boundaries for Scottish Parliament constituencies. The Bounbdary Commission have published their draft proposals for the North-east which sees radical changes to the current constituency boundaries. East Aberdeenshire returns, taking in Turriff, Strichen, New Deer, Mintlae, Ellon, Oldmeldrum and Inverurie and a new seat provisionally named Buchan Coast stretches from Boddam in the south round the coast including Peterhead, Fraserburgh, Macduff, Banff and Portsoy from the existing Banff & Buchan seat and also includes Cullen, Portknockie and Buckie from the Moray constituency. “The draft proposals from the Boundary Commission have just been published and will obviously need to be considered carefully in light of the huge changes being propsed to the Scottish Parliamentary map. “However, one glaring omission which jumps out on first reading the proposals is the total absence of any reference to ‘Banff’ or ‘Banffshire’. “Banffshire as a constituency had a long and proud history and, indeed, was one of the first constituencies in Scotland to lead the way with the election of Hamish Watt as its first ever SNP MP in 1974.
http://www.bcomm-scotland.gov.uk/ and responses to the consultation are welcomed. "The decision by Aberdeenshire Council to freeze Council Tax at current levels is most welcome. After an 88% increase in Council Tax under a Labour Scottish Executive the people of Aberdeenshire were long overdue a financial break. “This historic freeze has only been made possible through the SNP Government's determination to make finances available to Local Authorities to implement a Council Tax Freeze. "When I was re-elected last year one of the SNP’s key promises was to freeze Council Tax. In Aberdeenshire and throughout Scotland that has been made possible and this decision today makes good my personal pledge on this issue to the people of Banff & Buchan last May. deliver local priorities, as well as giving Council Tax payers a real terms cut by stopping even an inflationary rise." Following the release of the Bank of England quarterly inflation report, Banff & Buchan MSP Stewart Stevenson has voiced his concerns over the impact of soaring inflation on those dependent on savings or fixed-rate pensions. Mr. Stevenson’s concerns follow the publication of statistics by the Office of National Statistics (ONS) which confirms that the cost of living in the UK strayed further away from the UK Government's 2% target last month. "Those dependent on savings or fixed rate pensions are being hardest hit by the increasing cost of living, and people in rural areas like Banff & Buchan are particularly vulnerable to soaring inflation. “With over 20% of the population in Aberdeenshire aged over 60 years, this will affect a considerable number of pensioners in my constituency and is a serious concern. "With domestic and vehicle fuel prices rocketing and the prospect of another Treasury fuel tax rise from April, this situation is going from bad to worse. "The SNP has already called for the UK Government to seek a derogation from fuel taxes for rural areas, similar to that secured in France, and the Chancellor must act now to protect ordinary people and businesses from unfair fuel prices. “The recent news that water charge increases will be below the rate of inflation plus Aberdeenshire Council’s Council Tax freeze come as a huge help to families in Banff & Buchan and will mean more money in their pockets. However, the UK Government must also act to curb inflation by keeping fuel prices down." An extension to the M74 which will significantly reduce congestion on the busiest stretch of the M8 through Glasgow and provide a major economic boost to the west of Scotland was given the go ahead today by the Scottish Government. The tender price bid by the Interlink M74 consortium is a fixed price of just under £445 million plus an allowance for approximately £12 million for possible treatment of mine workings along the route. The scheme is predicted to return significantly more than its cost in terms of wider benefits. "This Government has always been committed to the M74 project. Following an internal review of the procurement processes the Government is confident that the procedures are robust and we are happy for Glasgow City Council to award the contract to the Interlink M74 Joint Venture. "This extension will complete the motorway network and reduce congestion on the busiest stretch of the M8 through Glasgow. It will also provide links to regeneration projects in the east end of Glasgow and will bring much-needed new investment in homes and jobs. "Glasgow has argued for decades that this development is vital to the future growth of the city. "This is tremendous news for jobs, for commuters and for the 2014 Commonwealth Games." The bid achieves clear value for money against the independent cost comparator produced by consultants EC Harris on Transport Scotland's behalf against current construction market cost. Construction of the Transport Scotland-managed project is now anticipated to get underway in May and expected to complete by the end of 2011. Around £200 million has already been invested in the project on securing land and advanced works. The project was announced by Scottish Ministers in September 2000. Draft Road and Compulsory Purchase Orders were published in March 2003. A Public Local Inquiry ran from December 2003 to March 2004, resulting in a decision to proceed with the scheme in March 2005. Friends of the Earth lodged an appeal against the Ministerial decision to proceed with the scheme in May 2005. Friends of the Earth abandoned the appeal during the Appeal Court hearing in June 2006 concluding the statutory processes. The tendering process began in August 2006. The sole bidder Interlink M74 Joint Venture comprises the following major construction companies: Morgan Est, Balfour Beatty, Morrison Construction and Sir Robert McAlpine. The M74 completion is part of major investment in the Central Belt's transport network including a new Forth Bridge, a new rail link to Glasgow airport, a new rail link between Airdrie in the west and Bathgate in the east and a package of improvements on rail services between Edinburgh and Glasgow including electrification of the line and a public transport link to Edinburgh Airport. The M74 completion project will grow Scotland's economy by improving transport links in the west of Scotland and bring new jobs, particularly along the route but also across the west of Scotland. The project will serve the regeneration of the south and east of Glasgow, Rutherglen and Cambuslang, and be delivered in good time for the Commonwealth Games in Glasgow in 2014. Banff & Buchan MSP Stewart Stevenson has welcomed additional measures announced today by Rural Affairs Secretary Richard Lochhead on livestock coming to Scotland. The measures are aimed at keeping the disease out of Scotland. Animals entering Scotland from bluetongue control zones will be checked to ensure that all necessary conditions have been met and that pre-movement testing has taken place. Post-movement testing will be performed on livestock not previously tested and any further necessary action will be taken. The checks are in addition to the legal requirement on farmers to report the movement of animals from any restricted zone to the Scottish Government within three days of the livestock arriving. "It is crucially important to keep this disease out of Scotland for as long as possible. Movement conditions and pre-movement testing must be complied with vigorously to confine this disease to the south-east of England. Action will be taken against anyone breaching these regulations. "The movement of livestock from restricted areas without the necessary tests present the biggest risk to Scotland. These checks will ensure that the necessary procedures for movement within the UK are fully complied with. "The system will be kept under constant review and industry compliance with pre-movement testing will be monitored. If there is evidence of non-compliance our position will be reconsidered urgently. "Our best defence remains with individual producers taking care to source their livestock from low risk areas wherever possible. "The Scottish Government is continuing to work with stakeholders to keep our position on vaccination under review in the light of disease developments. Vaccination will first be used in England and we are talking to the Department for the Environment, Food and Rural Affairs to ensure that their targeting of vaccine helps maintain Scotland's free area status." “It is vitally important that we protect the Scottish farming industry from this disease so I very much welcome these additional safeguarding measures. Work on the design of the replacement Forth Crossing will enter the next important phase this month as land searches, environmental surveys and ground investigations get under way in the vicinity of the proposed crossing. Teams of ecologists, geologists and engineers will shortly begin a series of studies in the corridor of the crossing to inform decisions on the design and alignment of the bridge and the connecting road network. From tomorrow (Wednesday 13 February), representatives from Arup-Jacobs will be conducting land searches on behalf of Transport Scotland in the corridor to establish land ownership and boundaries with affected landowners. Later this month environmental surveys will get under way and ground investigation work is due to begin in March. This marks a significant step towards the detailed design of the crossing and follows the decision by Scottish Ministers in December 2007 to build a multi-modal cable stay bridge across the Forth. “It is important we act quickly to protect the crucial economic link of cross-Forth travel by progressing this replacement crossing given the uncertain future facing the existing bridge. A modern, efficient transport network is vital to a thriving, prosperous economy. “I am delighted to see that Transport Scotland are wasting no time in initiating the next phase of the project. “The surveys and investigations taking place over the coming months will provide Transport Scotland with information about the landscape and ground conditions in the area and allow them to design the crossing on the most suitable alignment within the identified corridor, minimising impacts on the environment, landowners and local communities. These investigations represent one of the first major packages of work required to progress the design of the crossing, following the appointment of the joint venture consultants led by Arup-Jacobs in January this year. A competitive tendering process for the provision of specialist ground investigation and marine investigation services is currently under way and Transport Scotland expects to confirm the appointment of contractors shortly to allow investigations to begin in Spring 2008. An information leaflet for landowners Environmental Surveys and Ground Investigations is now available. A £1.5 million pound safety upgrade to the key route for northern Scotland takes another major step forward today. Transport Scotland has published a draft compulsory purchase order for the land required to progress this important improvement work. "This investment will improve safety for all users of the A9 and particularly for local residents in Bankfoot, who will be pleased to see another milestone towards delivery being reached. Draft Slip Road and Side Road Orders for the A9 Bankfoot improvement project were published in December, signalling the start of the statutory process. The consultation period for these orders also ends today. Subject to the successful outcome of these statutory procedures, it is estimated work will start in Autumn 2008 taking around six months to complete. Banff & Buchan MSP Stewart Stevenson has welcomed the news that NHS Grampian is to benefit from an additional £1.9 million on top of the standard 3.15% increase already allocated to each NHS Board. NHS Grampian will receive a total £21.6 million increase, bringing its annual allocation up to £646.3 million. The Scottish Government has allocated additional resources to NHS Boards based on a new formula to calculate health funding. This formula takes greater account of population increases and factors such as pressures on maternity and accident and emergency units. "This is great news for Banff & Buchan. The extra funding for NHS Grampian will help the health board deliver better, faster and more local access to treatment in the area. “This amounts to a fairer settlement for health boards such as Grampian which has been allocated almost £2 million over and above the average increase due to additional pressures on the region. Drivers were able to cross the Forth and Tay road bridges free of charge from midnight last night as all tolls were abolished after more than 40 years. "For the first time in more than 40 years, travellers driving across the Forth and Tay Bridges can travel free of charge, and I am absolutely delighted. "Today is an historic day for Scotland, signalling the end of years of injustice for the communities of Fife, Tayside and the Lothians. "When we came into power, this Scottish Government promised to end tolls. Today we have delivered on that commitment with the first primary legislation to be passed by this new administration." Bridge tolls have been in force on both bridges since they were built: the Forth in 1964, the Tay in 1966. Until midnight it cost £1 to cross the Forth and 80p to cross the Tay. It is standard practice for there to be a two month period between Royal Assent and an Act coming into force. However, Scottish Ministers put in place an accelerated process to fast track abolishing tolls. The Scottish Government has also provided a one-off grant of £14.8 million to allow the Tay Road Bridge Joint Board to repay all of its outstanding loans at January 31. Banff & Buchan MSP Stewart Stevenson is urging members of the public to make their views known to help shape a road safety strategy which will aim to cut the amount of deaths on Scotland’s roads. The Scottish Government has launched a consultation which is asking for members of the public, road safety organisations, the police, fire services, local authorities, young people, and others to make their views known on how to tackle to the problem before a strategy is drawn up later this year. “Too many families are still enduring the trauma of losing loved ones on Scotland’s roads. I have met with many constituents in Banff & Buchan who have lost friends and family and indeed know people myself who have been involved in serious accidents. “Since elected to Parliament road safety in Banff & Buchan has been high on my agenda. The number of deaths on our roads remains too high and we need a new, innovative approach if we are to get our message across to Scotland's drivers. “The experiences of people in the North East will have given many people a tragic insight into road accidents which in turn could help us save lives. Banff & Buchan MSP Stewart Stevenson has entered the local landscape of Crovie, Banffshire in a landscape exhibition in the Scottish Parliament. The exhibition was organised by Scottish Environment LINK as part of Scottish Environment week where MSPs were asked to name one of their favourite landscapes. The event was organised to raise awareness of the importance of Scotland’s urban and rural landscapes and the need to ensure that they are adequately protected. The exhibition showcased landscapes from across Scotland including classic mountain chains, town and city landmarks, beaches and urban green spaces. “I am delighted to have the opportunity to exhibit in the Scottish Parliament one of Banff & Buchan’s and indeed one of Scotland’s most beautiful landscapes. With its rich green pastures, sandy beaches and stunning coastlines Banff & Buchan boasts a number of magnificent scenes of which Crovie is just one. “In selecting one spectacular landscape in Banff & Buchan I was spoilt for choice. I settled eventually on Crovie, the jewel of the Banffshire Coast. Crovie is reminiscent of a gentler age due to most of the village being inaccessible to vehicles. “This exhibition is a wonderful initiative that highlights the importance of Scotland’s landscapes plus the need to protect and conserve them for the future. Banff & Buchan MSP Stewart Stevenson has welcomed news that water charge increases will be below the rate of inflation. Scottish Water have confirmed that the average water bill for households across Scotland in 2008/2009 will be limited to a below inflation increase . Mr Stevenson claims that this announcement combined with the SNP's Council Tax freeze is good news for people in Banff & Buchan who will be paying less of their money in council tax and water bills under an SNP Government than if the Liberal/Labour Executive were still in power. "I welcome the announcement by Scottish Water that water bills will rise by less than the rate of inflation. This combined with the SNP's Council Tax freeze makes for good news for hard pushed rates payers in the North-east." "The news that water charges are to remain low is particularly welcome, given the fluctuating prices in other parts of the utilities sector. The cost of water is going up by less than the cost of living, so combined with a Council Tax freeze, families in Banff & Buchan will be better off and have more money in their pockets." Banff & Buchan MSP Stewart Stevenson has welcomed the result of Wednesday’s parliamentary vote as a huge victory for the people of Scotland, and especially for the people of Banff & Buchan. 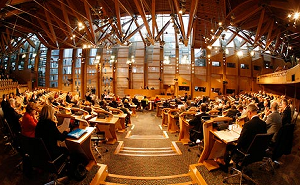 The budget now being passed, local authorities will receive their spending budgets from Holyrood, and policies announced in the bill will be able to go forward. "This is wonderful news for Banff & Buchan. We faced the threat of a possible 22% increase in council tax thanks to the same parties who brought us the 90% increase already seen in the past 8 years of their Liberal/Labour coalition. "I look forward to seeing the great budget boosts to the North East take place such as a new prison, more funding for ARI, further work on the AWPR, and most definitely a freeze on council tax. "Thousands of small businesses in Banff & Buchan will receive a huge boost through the reduction and then abolition of business rates, a vital move which will encourage small business growth and start up. "This is a major change which represents a huge reduction in the overheads for small businesses giving them a real chance to compete with the multinationals and major chains that are squeezing the heart out of Banff & Buchan’s High Streets. "I will continue to press for future investment in the North East, and expect to see more good news in the future." Banff & Buchan MSP Stewart Stevenson has welcomed news that the new £15 million Aberdeen Dental School will take a step closer to becoming reality today (Tuesday) with the draft business case for the development of dental school being presented to NHS Grampian Board for formal approval. "Yet again the SNP Government is showing the energy to deliver on our manifesto pledges with a dental school in Aberdeen. "Since elected I have consistently campaigned for increased dental services in the North East. And after eight years of disappointment and lack of action to address the problem it is encouraging to see such action by the new Scottish Government. "It is very heartening to hear that there has been significant interest from potential students for the new dental school and this will go some way to increase the number of dental students in training. "Naturally we face the current issue of patients requiring dentists today and we are working with the Health Minister to have this problem addressed. Nevertheless today's announcement shows that the SNP Government is committed to addressing this issue after eight years of Labour/LibDem inertia." Salmond and Stewart Stevenson pay tribute to "outstanding public servant"
The death has been announced of popular local Councillor Mitchell Burnett. Councillor Burnett lost his year long battle with cancer late on Monday afternoon, having been taken into hospital earlier that day. Cllr Burnett had been a local councillor for over 15 years, serving first on Grampian Region and then Aberdeenshire Council. Last year he comfortably topped the poll in the new Troup ward before being elected Chair of the Banff and Buchan area committee. Cllr Burnett, who would have been 70 on the 15 February, both owned a croft at Tyrie and was employed as farm worker. His interests outside politics included Scottish Country dancing which he taught for many years and the Young Farmers. "This is desperately sad news and the whole community will mourn the passing of an outstanding public servant. It speaks volumes for the high regard in which Mitchell was held that he was elected continuously over 15 years. “He fought his illness courageously right to the end and I had the great pleasure of meeting him on Sunday night to present a lifetime achievement award for his work for Scotland's cause. He was very poorly but still cheerful, able to share a joke and determined to see in his 70th birthday. “All our thoughts are with Helen, Barbara-Ann, Andy and all of Mitchell's friends and family." "Mitchell was a stalwart – always totally committed and always willing to assist constituents or fellow party workers. We will all miss him very much indeed." “Mitchell will be a great loss to the Party. He did a power of work not only publicly but also behind the scenes at our various summers events. "It is a key priority for this Government that we ensure that everyone has access to vital transport links. "I am delighted that these essential improvements to Lockerbie Station will allow many groups, such as the disabled, the elderly and parents of young children, to use their local train services more readily". The £1.2m project was funded by Transport Scotland and delivered by Network Rail with assistance from rail industry partners First ScotRail and Virgin Trains. Work on the station started in February 2007 and was carried out by contractor Edmund Nuttal Ltd.
"I am delighted to see this project completed. I know how much it means to the community of Lockerbie to have a fully accessible station. I would like to thank the community for their support whilst delivering this project. I would in particular like to recognise the determination of Wyn Deamer and the Coalition Disabled of People (Annandale and Eskdale) who have campaigned for this bridge". The Lockerbie community have been looking forward for some time to the valuable benefits these improvements bring to passengers. Rail users with disabilities or pushchairs will no longer need to travel on to Carlisle to change trains and then travel back in the opposite direction to enable them to exit on the platform required. "I am so pleased that we have now got a station that is accessible to all. Although, its taken time to get here I would like to thank, on behalf of the Coalition Disabled of People (Annandale and Eskdale) and the community of Lockerbie, Transport Scotland, Network Rail all those who have worked so hard and with so much determination to deliver this project". Mr Stevenson plans to visit Lockerbie Station on 4 February 2008 when, along with Wyn Deamer, he will officially open the new facilities. People across the country are being asked to help shape a new 10 year road safety strategy which aims to cut the death toll on Scotland's roads. Transport Minister Stewart Stevenson is keen to hear views from the public, road safety organisations, the police, fire services, local authorities, young people, and others before a strategy is drawn up to tackle the problem later this year. "Too many families are still suffering the heartache of a loved one being lost. "We need a new approach which looks beyond the traditional and towards the new and innovative if we are to get our messages across to Scotland's drivers. "I have set up a group of some of the leading thinkers on road safety to help advise us on what more can be done, but I am keen to hear a wide range of opinions from across the country. "The traumatic experiences in regions such as the North East, Highlands, Fife, Tayside,the Borders, and Central belt, and other regions across the country will have given people a tragic insight into road accidents. An insight which could help us save lives. "Those on the front line who have experienced road accidents at first hand, or even those who have been indirectly affected, will have their own views on what should be done. I want to hear them. "This consultation is an important part of our planning for a new 10 year road safety strategy, and I hope everyone takes the opportunity to respond. It could save lives." The consulation on a new Road Safety Strategy was launched today, and views are being sought by April 25, 2008. The Scottish Government aim to publish the strategy in Autumn 2008. The Scottish Government is committed to publishing a 10 year plan to transform Scottish road safety. A Panel of Experts has been set up to advise on possible measures. Progress has been made in reducing road casualties in recent years with a general downward trend emerging. The number of people killed or seriously injured in road accidents in Scotland in 2006 was 39 per cent lower than the average for 1994-98 and the number of children killed or seriously injured was 56 per cent lower. However, latest statistics show that road deaths rose by 10 per cent to 314 in 2006, and 14 more children died. Motorcyclist deaths and serious casualties have also risen by 13 per cent compared with the average for 1994-98. Seven out of ten fatal accidents occur on non built-up roads and around one in nine road deaths is alcohol related. Accident involvement as a car driver is highest for males aged 17-22 and the risk of injury is higher for males than for females. Transport Minister Stewart Stevenson today announced the appointment of two new Non-Executive Directors of the Board of Highlands & Islands Airports Ltd (HIAL). The appointments will be for three years and will run from March 1, when Shona MacLennan and Grenville Johnston step down from the Board after seven years' service. The new Board members are Dr Michael Cantlay and Mr Andrew Castell. Michael Cantlay was formerly Chairman and Managing Director of highland dress manufacturer and retailer Hector Russell. Today his principal UK business is Inverness-shire based William Glen Ltd which owns and operates highland dress businesses in Toronto, Canada and San Francisco, USA. Dr Cantlay also brings a strong track record at Board level in the public sector in Scotland. He is Convener to Loch Lomond and The Trossachs National Park Authority and is Chair of the Board of Management to Forth Valley College. He was formerly Chair of Scottish Enterprise Forth Valley and Deputy Chair of VisitScotland. Dr Cantlay lives in Perthshire. Dr Cantlay currently holds another Ministerial public appointment as Convener to Loch Lomond and The Trossachs National Park Authority which attracts remuneration £189.89 per day for a time commitment of 12 days per month. Andrew Castell is a Chartered Accountant and has a background in Financial Services, having worked in investment banking and the insurance industry. He was formerly Group Finance Director of CBS Insurance Holdings PLC and Goshawk Insurance Holdings PLC. He has particular experience of corporate finance and corporate restructuring. He lives in Inverness-shire. Mr Castell holds no other Ministerial public appointment. These appointments will be for three years and will run from March 1, 2008 to February 28, 2011. The posts are part-time and attract a remuneration of £6,850 per annum for a time commitment of two days per month. HIAL is a company wholly owned by the Scottish Ministers and is sponsored by the Scottish Government Transport Directorate. The company's purpose is to maintain the safe operation of its airports, and to support economic and social development in the Highlands and Islands. HIAL currently operates 10 airports in the Highlands and Islands of Scotland, located at Barra, Benbecula, Campbeltown, Islay, Inverness, Kirkwall, Stornoway, Sumburgh Tiree and Wick. In addition, on 1 December 2007, HIAL took over the operation and management of Dundee Airport. Total passenger numbers in 2006/07 were 1,232,782, ranging from 7,570 at Tiree to 698,885 at Inverness. These Ministerial public appointments were made in accordance with the Code of Practice of the Commissioner for Public Appointments in Scotland. All appointments are made on merit and political activity plays no part in the selection process. However, in accordance with the original Nolan recommendations, there is a requirement for appointees' political activity (if there is any to be declared) to be made public. Neither Dr Cantlay nor Mr Castell has any political affiliation.